We're sorry, this promotion has expired! Please feel free to request a free estimate, and we'll be in touch as soon as possible. Book This Black Friday Weekend And Save! 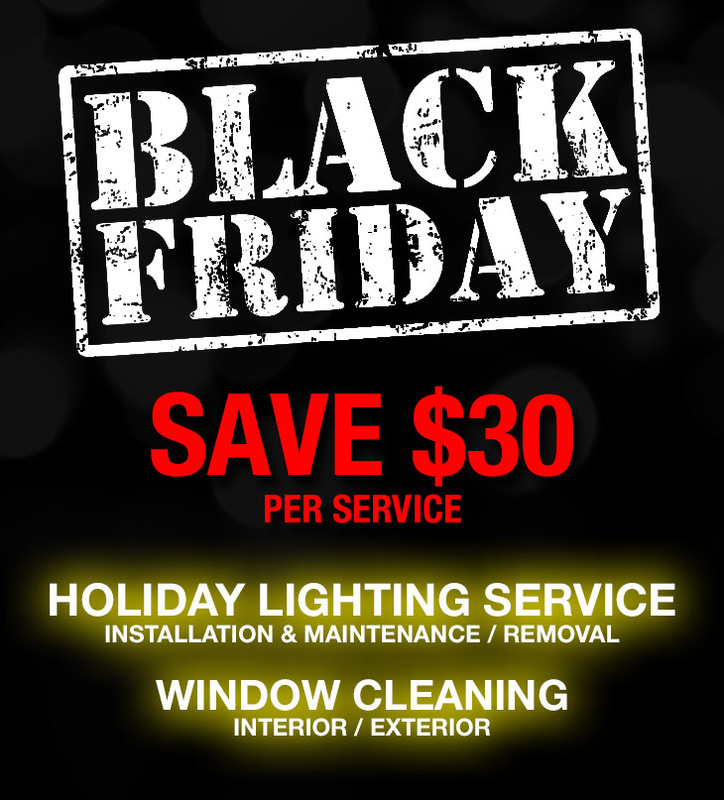 Snag a discount on holiday light installation and windows cleaning. How does it work? You save $30 per service on your invoice! It’s simple, use the form on this page or you can text/email us (make sure to mention this promotion to claim your savings). The last day to save is Nov 26th, contact us today to secure your savings! This promotion is subject to limited availability and CANNOT be combined with any other discount. **Service dates of Dec 23 and beyond are subject to availability, no service date guarantee can be provided. Time slots are only given for interior window cleaning services (other service(s) are scheduled according to date but with no specific time, work to take place within our business hours of the corresponding day). $249 minimum charge for holiday lighting installation. We will purchase lights for you or we will use your supplied lights. $149 minimum charge for holiday lighting removal. Additional labour is calculated at $149 hour / 1 man crew.